Mid-City hired Brent Hartsough to join the electrical estimating team in August 2018. In this role, he prices and bids work for a variety of current and prospective clients here in Columbus. 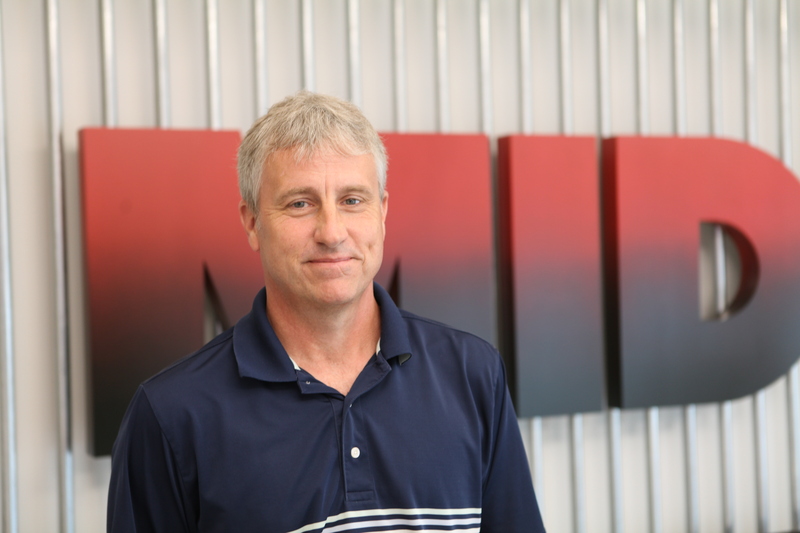 Brent comes to Mid-City with 31 years of industry experience, starting his career in the field as a residential wireman until eventually earning a position as a journeyman electrician. While working as a journeyman, he installed electrical for large industrial and commercial businesses in Central Ohio, including Net Jets, Worthington Industries, Buckeye Steel, and Chase. Following his field experience, Brent project managed and estimated for a large commercial electrical contractor, focusing much of his efforts on retail facilities. Brent is a great addition to our estimating team. Below is some Q & A we did with Brent to help you get to know him a little better. I followed in my dad’s footsteps. From the age of 10-17, my dad would take me to work on occasion to look at job sites, and it always fascinated me to see things being built. I decided after high school that college was not for me, so I looked into the specialty trades. There were so many different avenues to pursue, and you always learn something different every day. Q: Do you have a project that sticks out in your mind as most memorable, or your favorite? What was it, and why? NetJets at the Columbus airport. This was the first project that I worked on from the beginning to end. I worked with a great company, crew, and had a highly knowledgeable foreman. My responsibility on the project involved a state-of-the-art (for the time) lighting control system that included several different dimming zones and controls. Q: Like most of our estimators and project managers, you began your career as a journeyman electrician in the field, gaining hands-on experience with electrical construction. What’s something that you learned in the field that you use most days in your current role as an estimator? Take pride in your job and every task handed to you. The field also taught me how to be a team player. Q: Based on your experience in the industry, what do you see as a growing trend in electrical estimating? I would have to say today’s technology, specifically the software that is available to help with the efficiency of doing a take-off and tracking a job’s progress, keeps improving. My wife and I are empty nesters. Both daughters are off to college. Me and my wife both golf, hunt, and enjoy fishing too.